The National Electoral Commission (NEC) says ruling party candidate John Magufuli is the next president. Magufuli received 58.46 percent of the votes while opposition coalition leader Edward Lowassa received 39.97 percent. 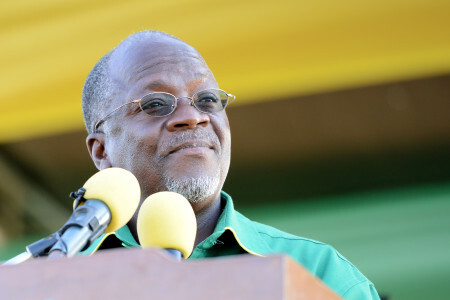 Chama Cha Mapinduzi (CCM) and it’s political predecessor TANU have ruled Tanzania since independence. Opposition coalition Ukawa preemptively announced on Wednesday that they won’t accept the results released by the NEC. Polls across the country were mostly peaceful with isolated instances of violence however in Zanzibar, the election has been scrapped and is to be re-run. Incidentally, today is Magufuli’s birthday.